In 2010, I began the Brain Washing from Phone Towers Publishing Initiative. 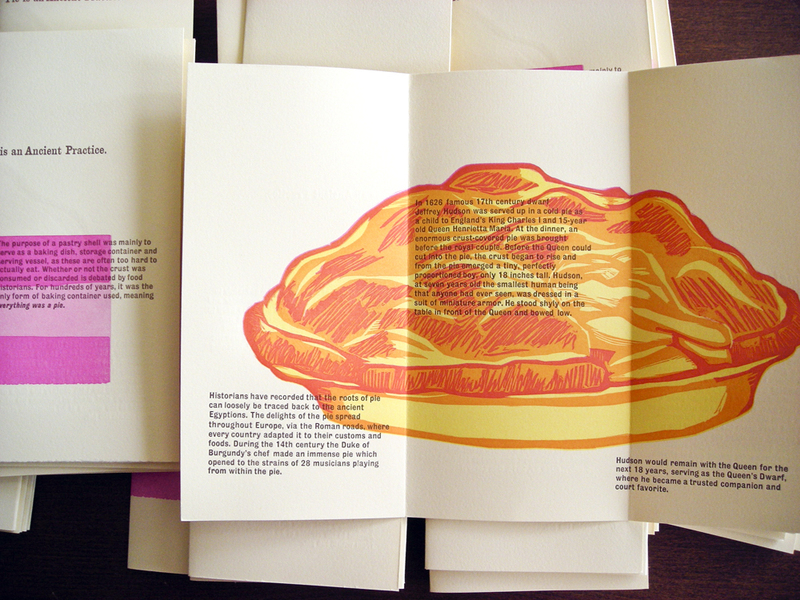 Our first production was a pamphlet on the History of Pie, published to coincide with a small-scale Pie Contest. 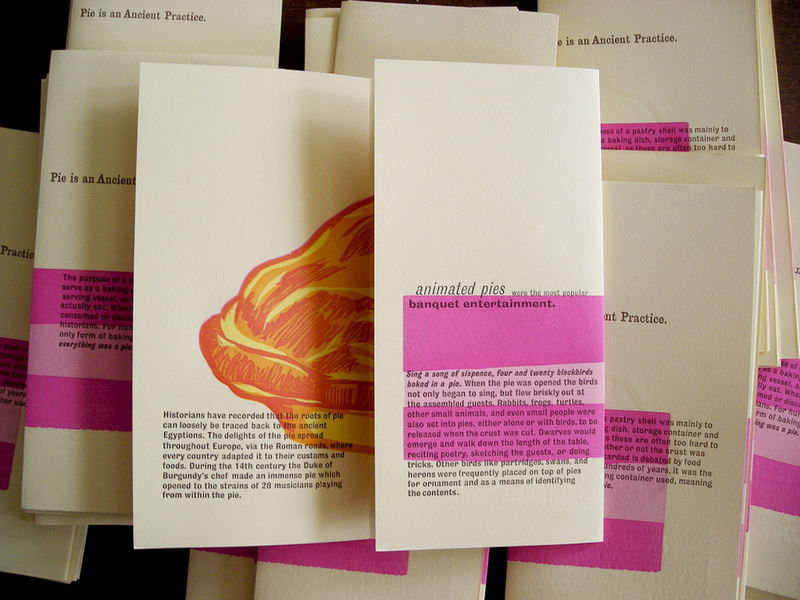 This small-scale publication combined text (found, handset) and image (carved in wood or linoleum) produced via obsolete technology (letterpress). The content of the series aims for historical interest, commemorative intent and a healthy dose of humor, and the distribution methods are based on the values of the gift economy. 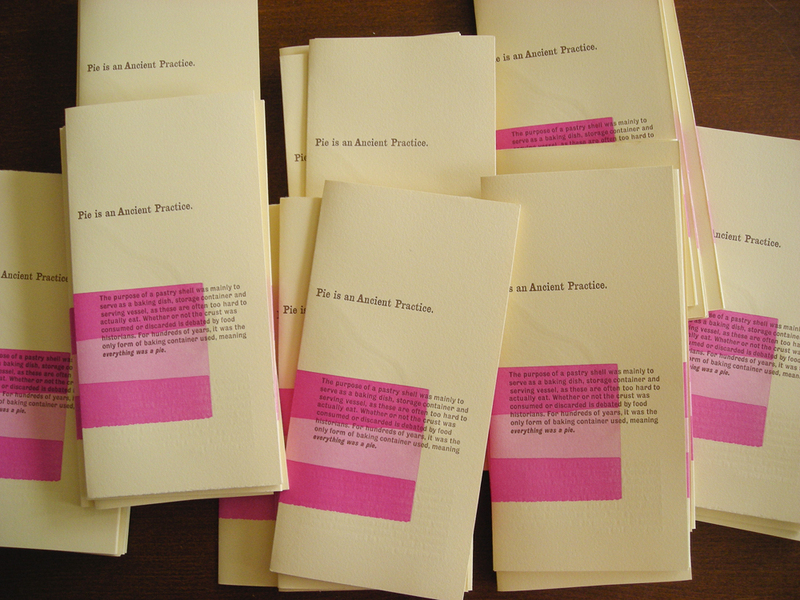 Participants in the pie contest all received a copy of the pamphlet to take home with them, as well as leftover pie.